Cut out several round circles using a jar lid or other round lid for a pattern. Start with the smallest circle and hand sew a matching button in the middle of the circle. 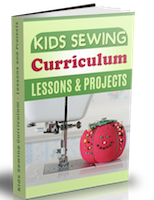 Take the next largest circle and hand sew around the edges to attach the two circles together. ~You can use zig zag scissors to make a fun edge for the outside circle. Join in and write your own page! It's easy to do. How? 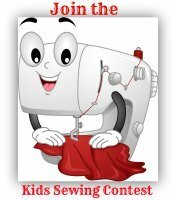 Simply click here to return to Your Sewing Project -Contest Entry.